At long last, they're making a new Goosebumps video game. When I first read the headline, I was overjoyed. 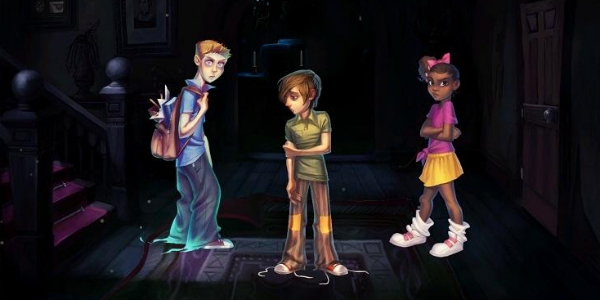 I enjoyed the point-and-click adventure Nickelodeon released for Are You Afraid of the Dark? and it was one of my go-to titles for some time. It effortlessly captured the spirit of the show, but that was due mostly to the FMV segments and the story itself, I suppose. 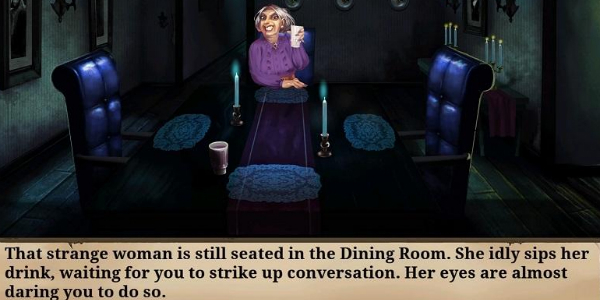 This isn't the first time a Goosebumps game has been released of course, but it might be the first one where I've seen screenshots and felt immediately apprehensive. It might be published by WayForward, who was previously responsible for some decent game releases, but this Xbox 360 game is both a tie-in to the upcoming movie starring Jack Black and it's developed by GameMill Entertainment. I'm concerned. 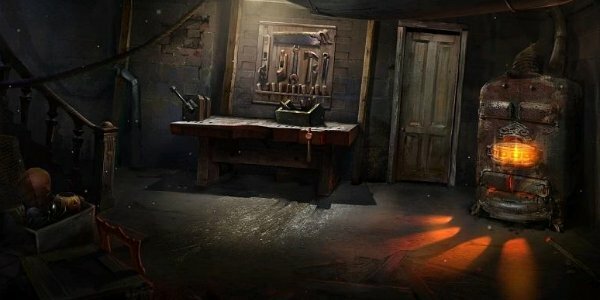 Here are four things I've discovered from the screenshots released today that are just wrong. Do not want. The imagery shown off in these screens isn't exactly appealing, with a strange art style that doesn't exactly fit that of the Goosebumps brand. It's also weirdly uneven, like the photo here. Why does it look like all three of the characters are drawn slightly differently? And what's going on with the costumes? I'm not sure I know any children anymore who wear loose white socks outside of Japanese high schoolers with their uniforms. Not a fan. I'm not afraid of static images. I'm also not afraid of any game that has me using a dump truck, a dinosaur, and a shovel as part of my inventory, but I am afraid that this apparently low-budget puzzler will feature such lazily-drawn environments that force you to watch other static images change positions and emotions like that of the typical visual novel, but somehow less so. Of course, this is conjecture since the game has just been released, but I can't see that it's going to change very much. 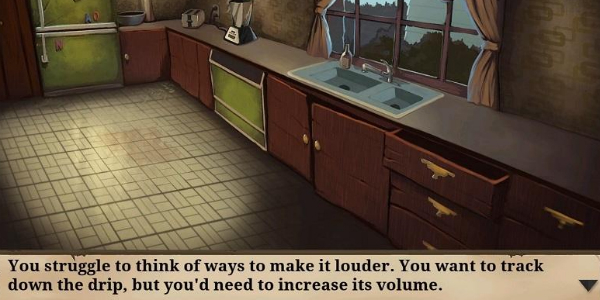 It's apparent that the game is aimed toward children, as Goosebumps are, but this must be from a lower tier of Goosebumps with the boring statements and narration going on here. "Strange woman," indeed. She looks more obnoxious than strange. I'm just not convinced from the small snippets of text in these screens that there's going to be enough here to really scare anyone, especially since this is supposedly a prequel to the upcoming Goosebumps film, which looks absolutely awful. Let's hope this is just placeholder text, because with a narrative like this, this point-and-click game isn't going to get very far with the older crowd. Goosebumps had very wide appeal, so that's unfortunate. True, I've only seen a few shots of the game in action thus far, and I may be missing other pertinent information that might sway my opinion in another direction here, but the game looks totally bland and boring. I'm not sure whose idea it was to translate Goosebumps into one of the least stressful video game experiences there could be, but it doesn't seem to be the best decision to have made. Hopefully I'm proven wrong, but I don't hold much hope that I will be.